FLAGSTAFF, Ariz. -- More than 100 community members rallied outside Flagstaff City Hall then filled the council chambers to support a proposal for Indigenous Peoples' Day. After hearing strong testimony regarding injustices Indigenous community members face, city council members discussed and unanimously supported the proposal brought forth by council member Eva Putzova. 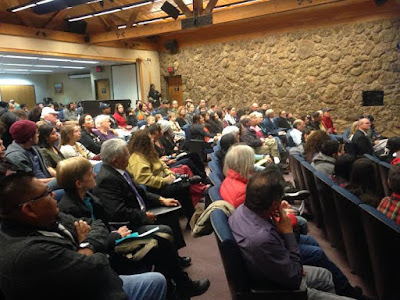 The proposal includes; reviewing a 2012 memorandum of understanding on race relations the City signed with the Navajo Nation Human Rights Commission, public forums to hear concerns and seek solutions on injustices faced by Indigenous community members, reports and an action plan for policies impacting Indigenous community members. When the process is complete the council will vote on a declaration of Indigenous Peoples' Day to be recognized on the second Monday of every October. 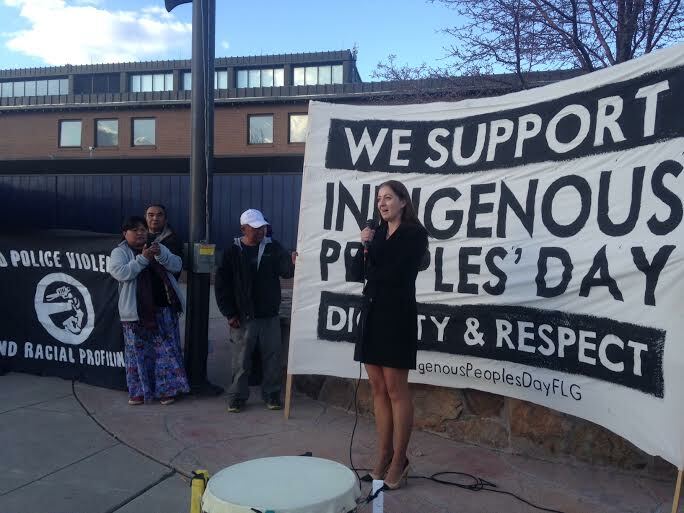 Daisy Purdy, NAU faculty member and student, read a statement signed by more than 230 Flagstaff residents stating, "We... support the proposed process put forth to Flagstaff City council as a necessary and proper beginning by which the City of Flagstaff will work with Indigenous Peoples impacted by Flagstaff City policies to honor Indigenous histories, respect Indigenous contemporary holistic wellbeing, and work intentionally and diligently for the benefit of future generations of Indigenous Peoples. 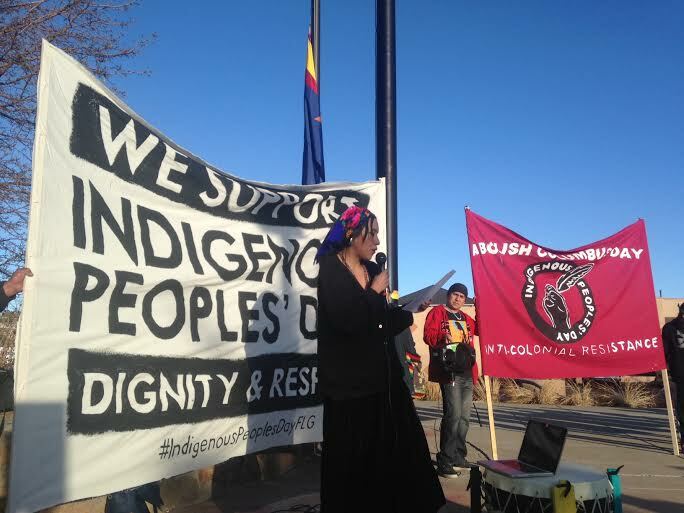 We... insist these changes are systemic, culturally appropriate, transparent, and implemented through policy actions of the Flagstaff City council." stated Purdy on behalf of the signatories. "Conversations about race, racism, traditions... are never easy, but that does not mean it should be avoided." stated councilmember Coral Evans who compared the challenge to Columbus Day to the removal of the Confederate flag in South Carolina, "What do I think about Indigenous Peoples' Day? Nikki Haley the governor of South Carolina said on June 22 2015, 'this is a moment in which we can say that that flag, while an integral part of our past, does not represent the future of our great state.' I think the same can and should be said of Columbus Day." stated Evans. Radmilla Cody, renowned recording artist, advocate against gender abuse and violence, and former Miss Navajo, thanked councilmember Eva Putzova for introducing the Indigenous Peoples' Day proposal and stated, "Today, we see the reality Columbus helped to create. 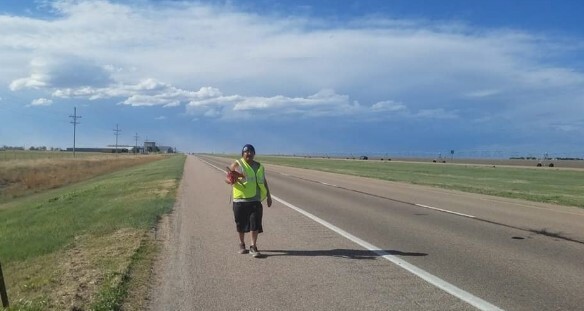 We see it here in the border-town of Flagstaff and other border-towns where homelessness, racial profiling, discrimination, racism, and the desecration to sacred sites are clear and evident towards Indigenous people, their lives, intelligence, and lands. 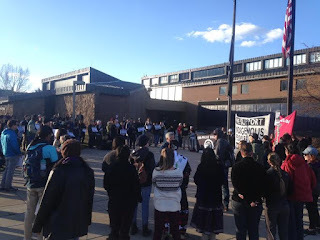 By voting on this proposal, you will be on the right side of history and it will be a step towards to having critical discussions in addressing a long history of racism, violence, and the marginalization of Indigenous people." stated Cody. 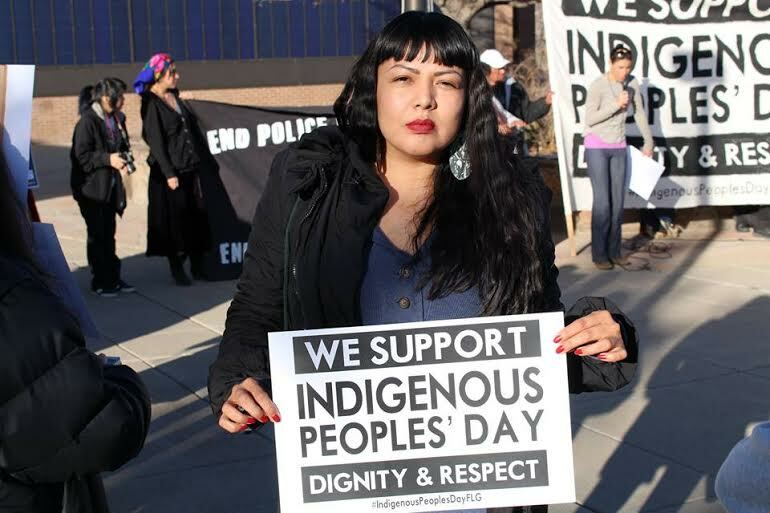 "Indigenous Peoples' Day is a step toward acknowledgement, acceptance, and healing within our community." stated Lyncia Begay, a lifelong resident of Flagstaff and part of Nihígaal bee Iiná, "Indigenous Peoples' Day is a chance to return and elevate the confidence of Indigenous People living in Flagstaff. Indigenous Peoples' Day allows us to openly acknowledge that non-Indigenous residents are living on occupied Diné territory which allows us the historical reality that respects and honors our ancestral roots as they continue on and represent the burgeoning of our return in a place where our ancestral relatives were massacred and displaced upon Flagstaff's colonization. Something has got to give in a world that tells us we are merely Columbus's fallout." said Begay. "The complexities that exist within communities are often amplified when concerns go unheard and solutions go unrecognized." stated Adrian Manygoats, Flagstaff resident and Program Coordinator for Native American Business Incubator Network, "The designation of Indigenous Peoples' Day is a positive action being presented by Native American people to shift a celebration of colonialism into an opportunity to reveal historic truths about genocide and oppression of Indigenous people in America. I see this as an opportunity to educate, show support, and to unify this community of Flagstaff. " stated Manygoats.